Choose how much you would like your gift card to be. No minimum dollar amount required. Our gift cards make the perfect gift for any occasion. Perfect for teachers, coaches, colleagues/co-workers, friends, and family. 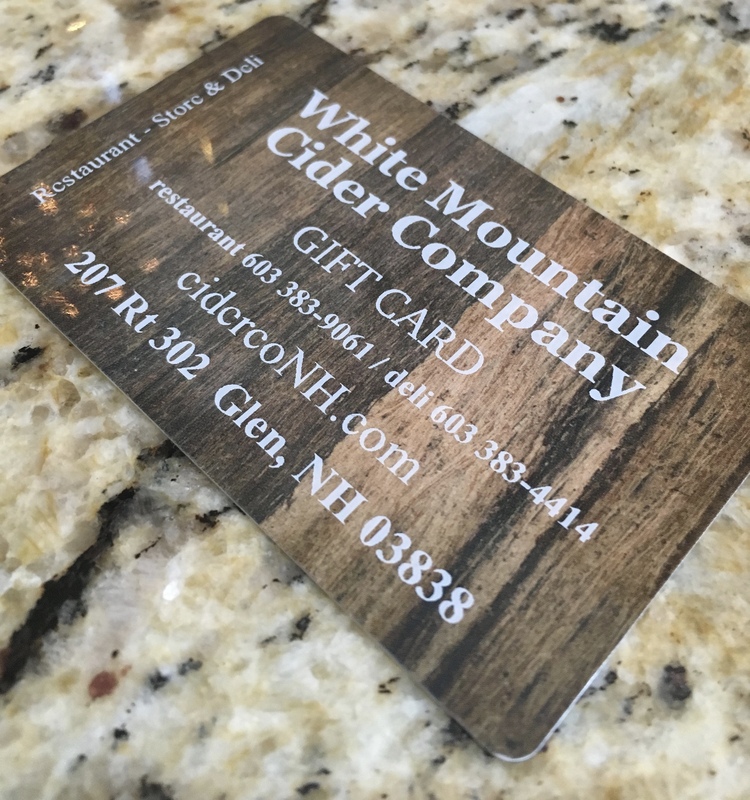 White Mountain Cider Company Gift Cards make the perfect gift for any occasion! Treat someone special to a wonderful meal at White Mountain Cider Company today! Please call us at 603-383-9061 if you have any questions!